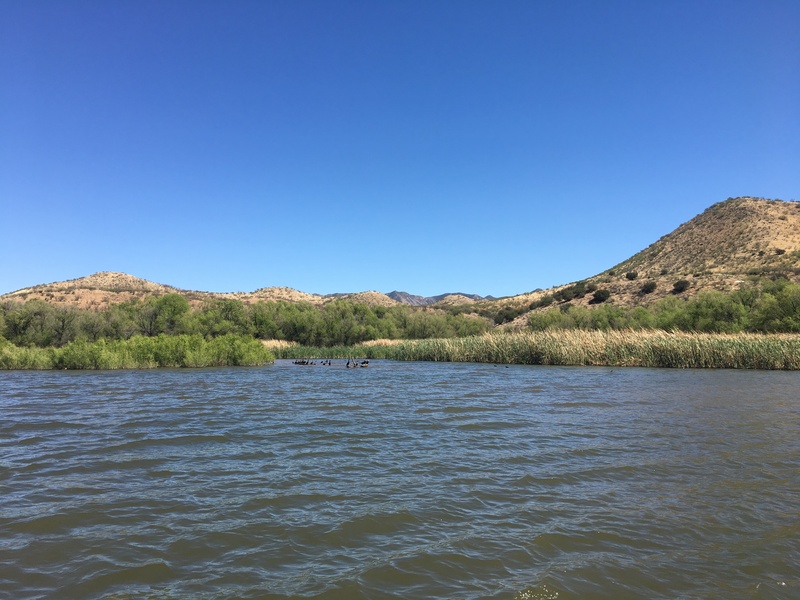 After my first three days attempting to thru-hike the Arizona Trail, I decided to get off the trail and re-group. 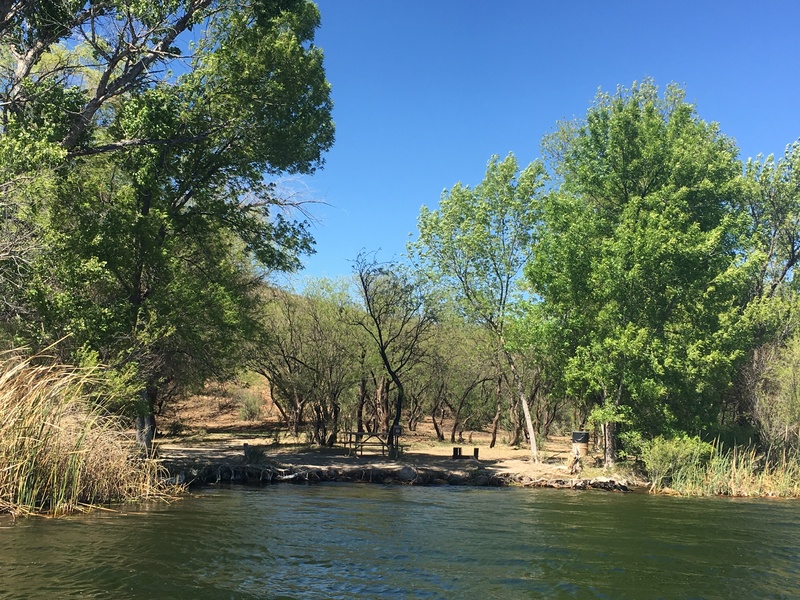 I spent two days exploring the campground at Patagonia Lake State Park with my aunt. 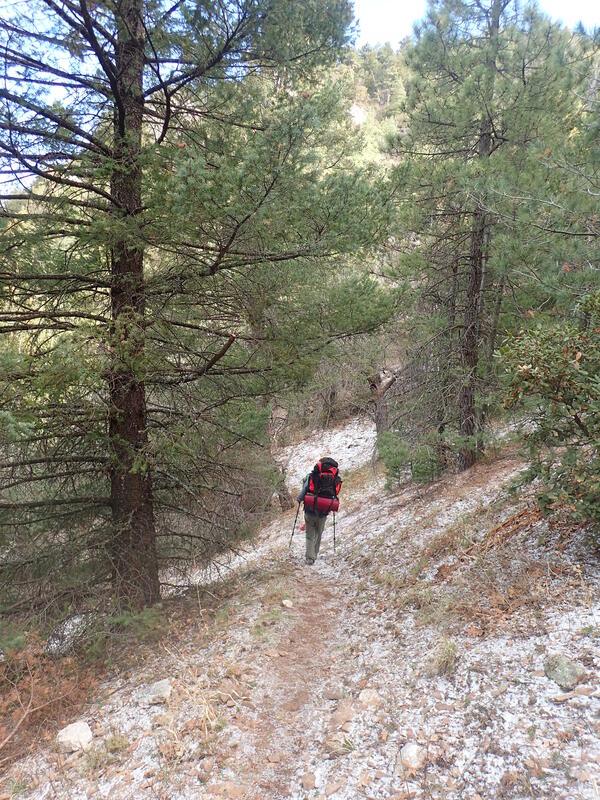 During this time, I washed my clothes in a bucket, went through my pack and tossed out any unnecessary items, and continued to communicate with my hiking partner in hopes that we would get back on the trail soon. During one afternoon, my aunt and I went to the marina to see about renting kayaks to tour around the lake. 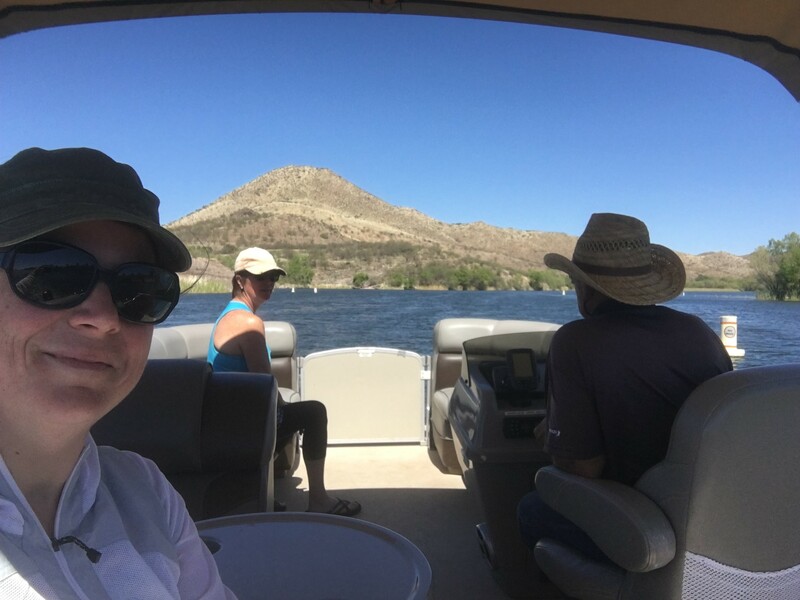 A very nice gentleman running the marina offered to take us on a quick pontoon boat ride to tour the lake since the wind was too fierce for a kayak trip. 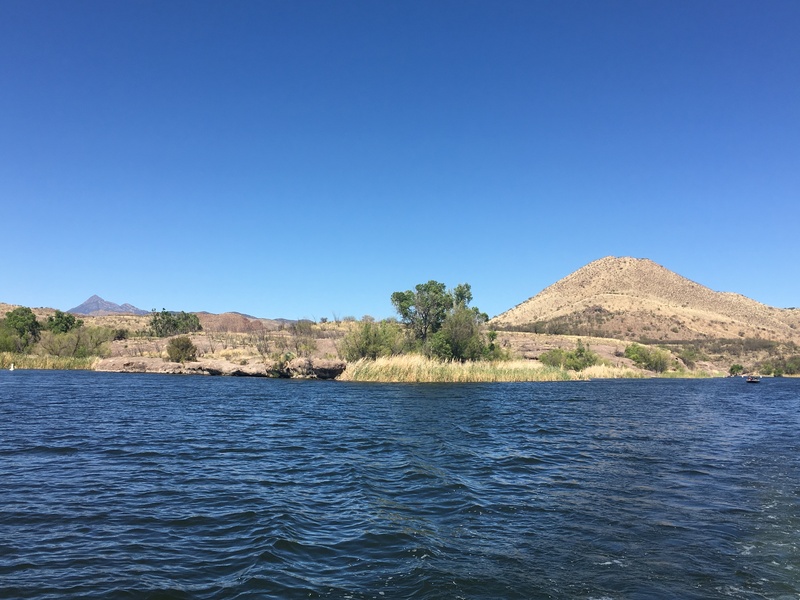 The lake and State Park were beautiful with lots of little primitive campsites tucked away which are only accessible by boat. 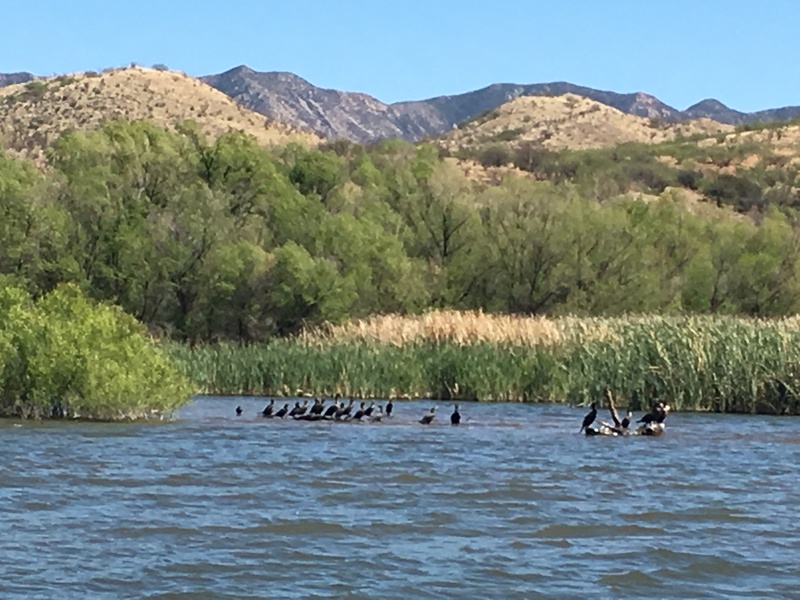 The two days I spent at Patagonia Lake with my aunt after the first three days hiking the AZT were perfect. I believe that things happen for a reason, and even though I was feeling pretty low having to get off the trail so soon, the time spent at the lake was very special. Nervous is the one word I would use to describe the morning of my first thru-hike attempt. All of the planning and organizing had led up to this moment, and now that it was here, I was petrified! Scared as hell, yes, but also ready for an adventure. 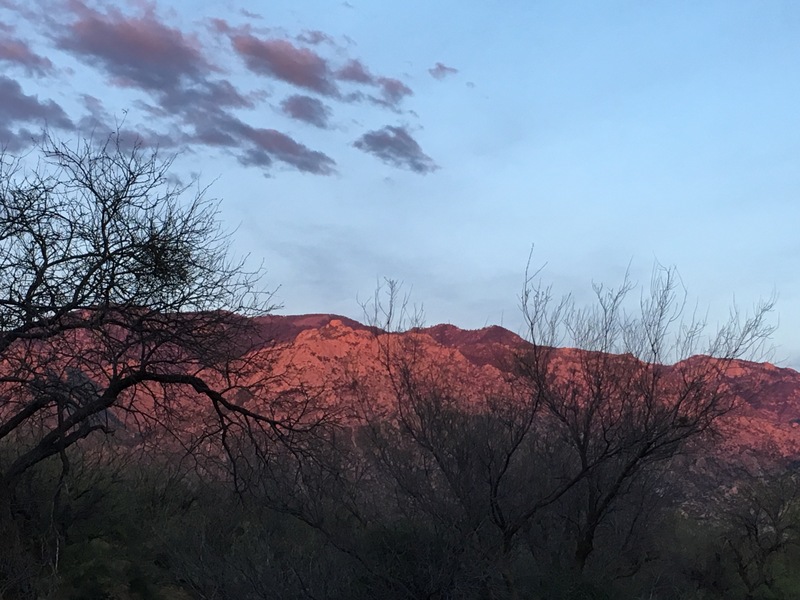 I woke up before sunrise on the morning of my first day on the Arizona Trail. I was nervous, but excited knowing I would have my aunt joining me as I hiked the first 50 miles over the next five days. In many ways she has inspired me to find a love in backpacking, and I was happy to finally share that passion with her. She and I set out early that morning to catch a shuttle to Montezuma Pass with 3 other hikers I had met online several weeks before starting the trail. As a group we made plans to try and hike at least the first 120 miles together. 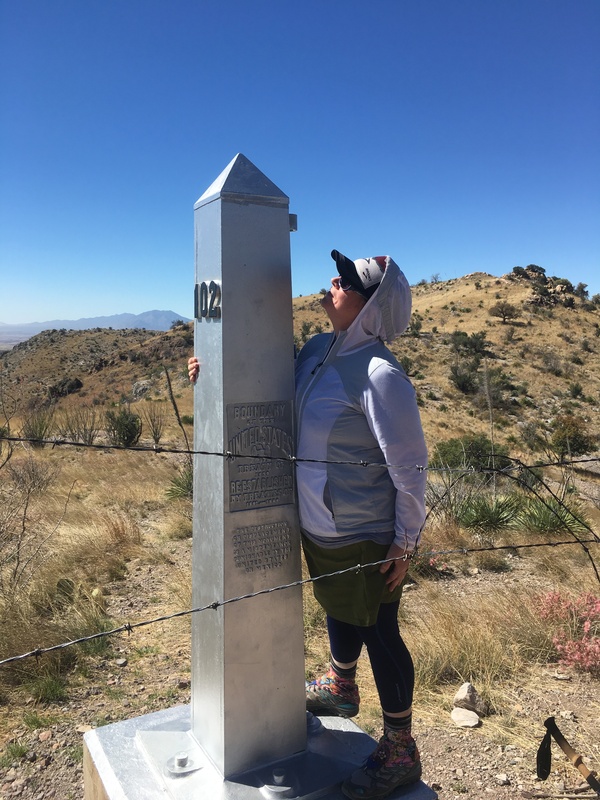 It comforted me knowing that I had connections along the trail, and I was thrilled to be creating new friendships. Our group ready to start our first day on the Arizona Trail. After a drive up a long and winding gravel road, we arrived at the Montezuma Pass parking lot in the late morning. 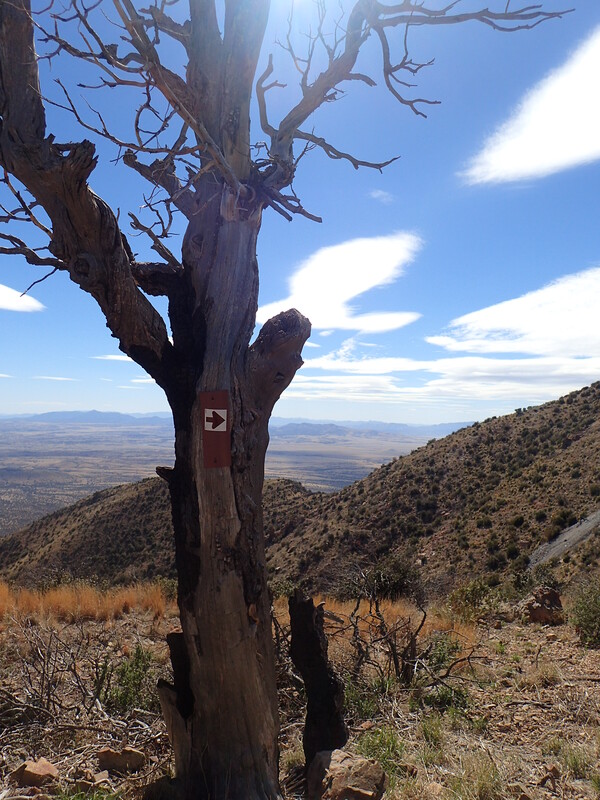 Mile 0 of the Arizona trail starts 1.7 miles from the parking lot and retraces its’ steps back. 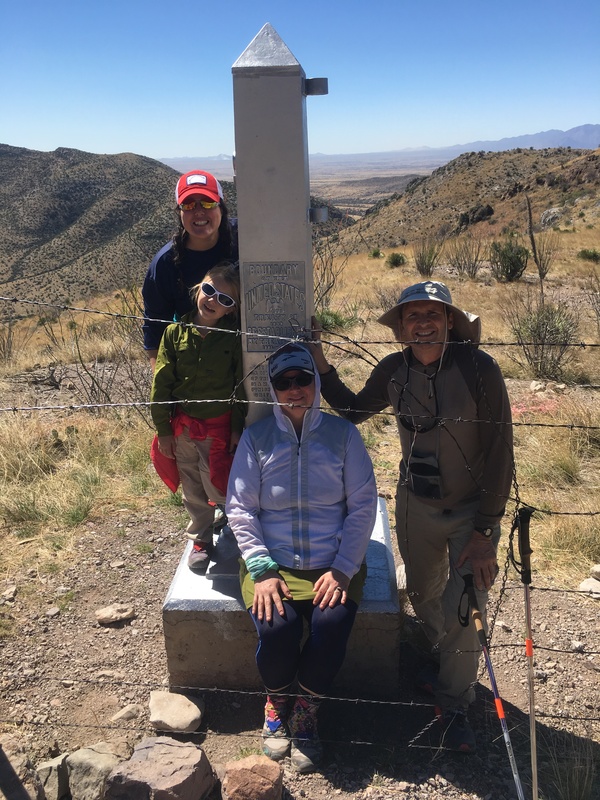 Since my aunt did not intend to thru-hike the entire AZT, she kindly opted to stay in the parking area with our backpacks while we hiked the first 3.4 miles to the Mexican border and back. 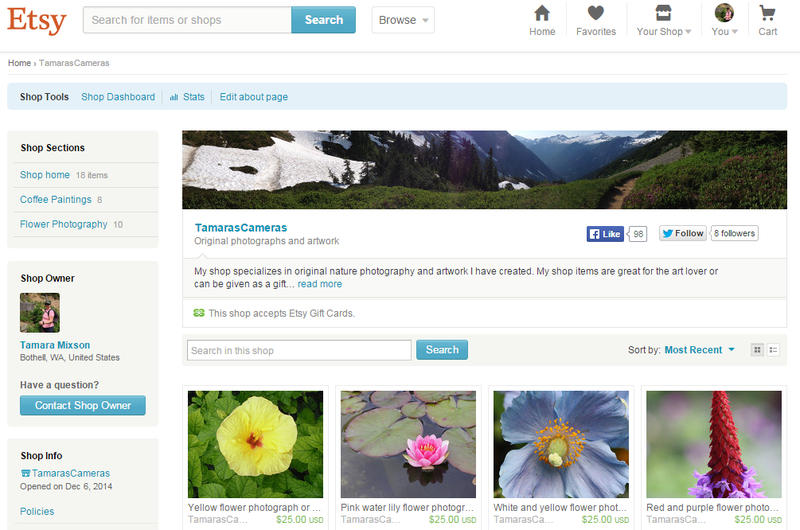 This was it – we were finally starting this incredible journey! The morning was nice with mild temperatures, blue skies and pure sunshine. 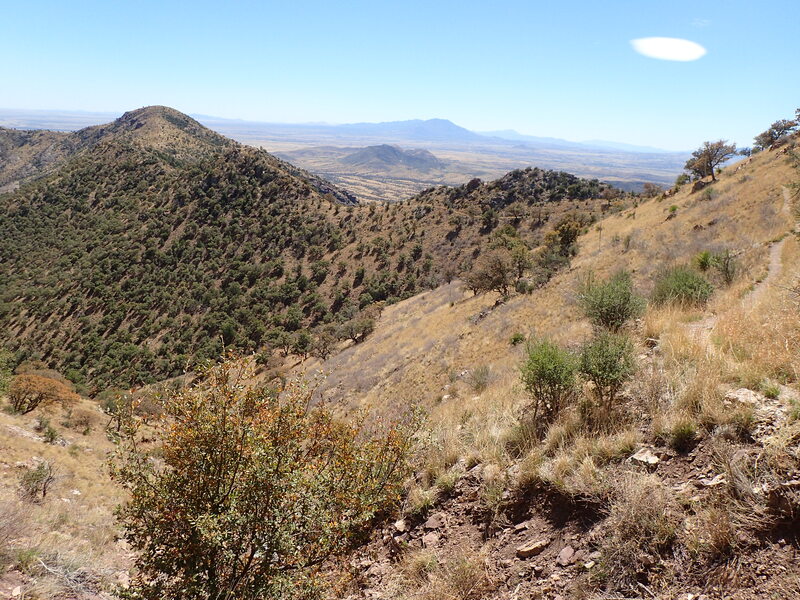 The first 1.7 miles of the trail descent down towards the Mexican border, making it a fairly easy hike. 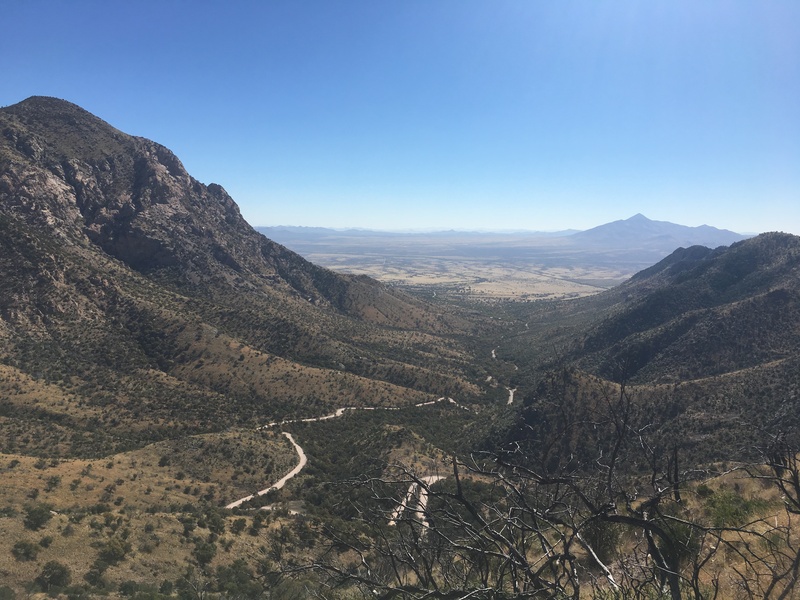 The next 1.7 miles back up towards the parking lot weren’t as easy since we were finally starting our ascent up the Huachuca Mountains. By the time we reached the parking lot we were parched and happy to take shelter in the shade for lunch. During our lunch break at Montezuma Pass we had the opportunity to meet the founder of Warrior Expeditions along with three of his warriors kicking of their hike on the Arizona Trail. I was so excited to be starting my hike surrounded by so many people. I was energized and ready to throw on my pack and really start this adventure. My aunt took our first ten steps together side by side grinning from ear to ear. 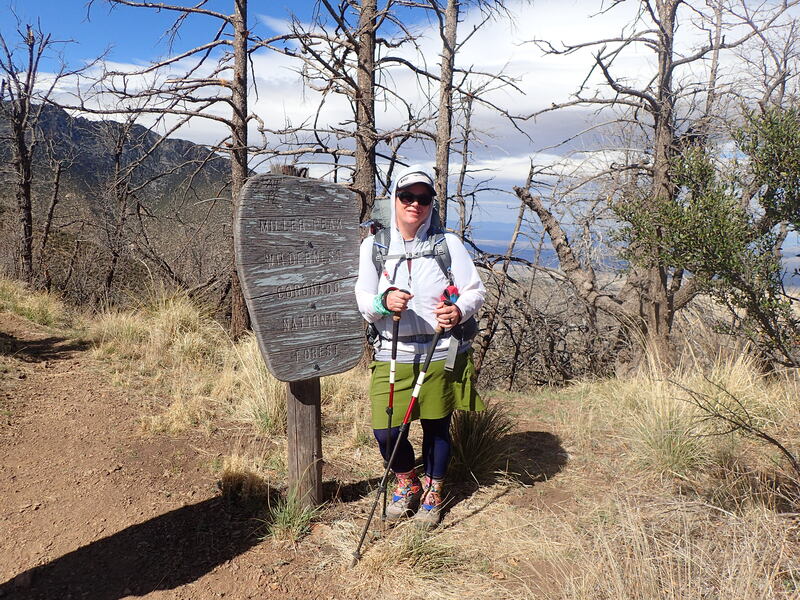 We set out on the Arizona Trail with a goal of making it to Bathtub Spring that evening hiking 6.6 more miles. Right away the climb up was tough – temperatures were warming and the trail was completely exposed. All morning my body wasn’t feeling 100%, but I assumed it was just nerves. As the day progressed I continued to feel uneasy, but was able to slowly hike on. 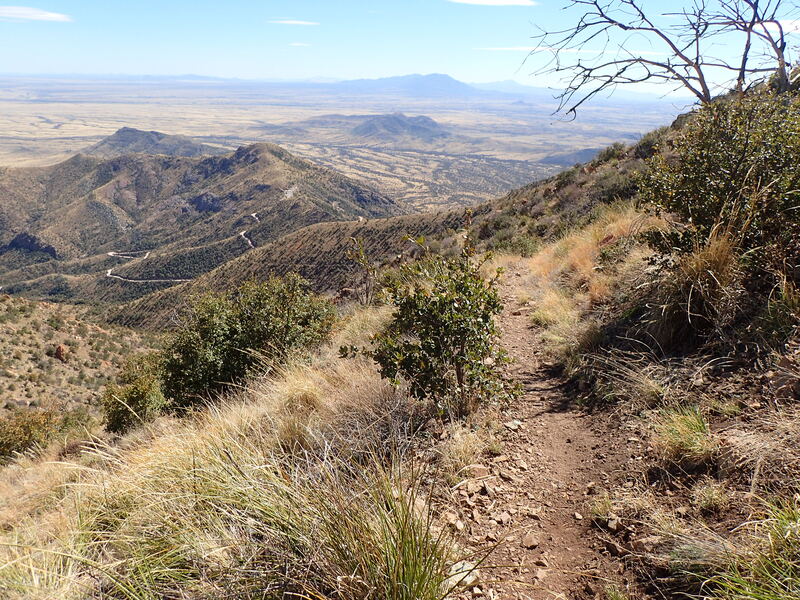 The next four miles of the trail gain over 3000′ of elevation as it makes its’ way up towards the spine of the Huachuca Mountains. At some point my aunt and I stopped to rest in a rare shady spot, and one of our hiking partners arrived shortly thereafter. He notified us that our other hiking partner was feeling ill after hiking a few miles. She and her daughter decided to take shelter in their tent until feeling well enough to continue hiking on. We suspected altitude sickness considering we started our hike at 6000′ and would be ending the day at just over 9000′. We stayed connected using our gps devices communicating about potential camping spots along the way up. 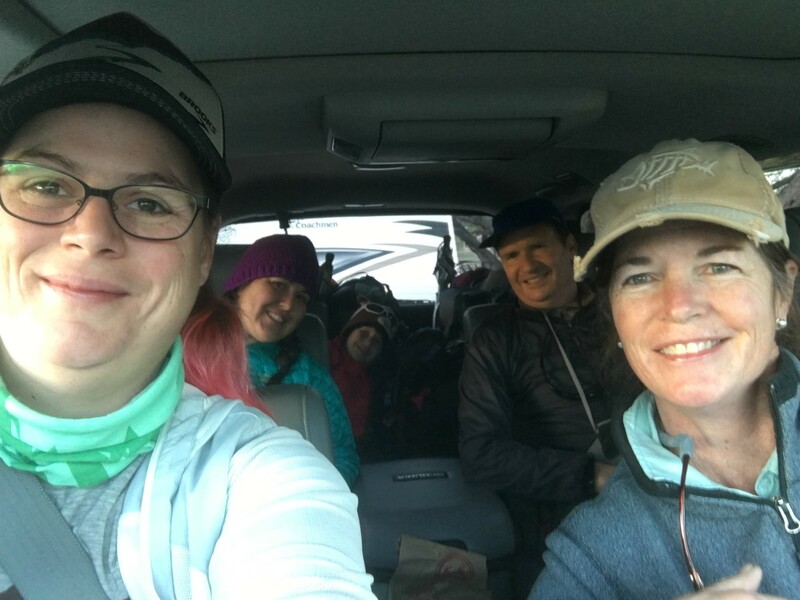 Unfortunately, it wasn’t long before we all realized that the best decision for our ill hiking partner was to leave the trail as her symptoms continued to worsen. By the time the three of us reached the highest point of our hike, we were exhausted and still had more miles to go. 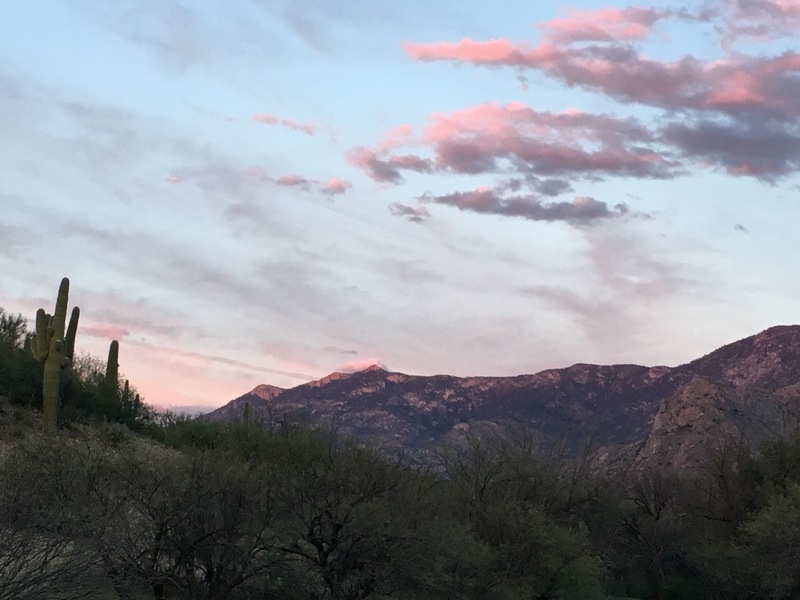 As we hiked along the ridgeline of the Huachuca Mountains, the sun was beginning to set which created an urgency to move quicker. The terrain changed with every turn of a corner, and before we knew it the sun had set and all of that beauty had whizzed by. Thankfully, we stumbled into the area near Bathtub Spring with moments of light to spare. We were even more grateful that the warriors were camping in the area and happy to share the very tight quarters with our group. I have never seen six tents in a smaller area! With headlamps running, the three of us set up our tents in the dark of night. Shortly thereafter I puked behind a tree nearby. My body had finally lost the battle with altitude sickness and I was feeling awful. It took everything I had to drink water, send out sad messages to my husband on my Garmin about how awful the night was, and try not to fall asleep with dried bananas in my mouth that I was forcing myself to eat. 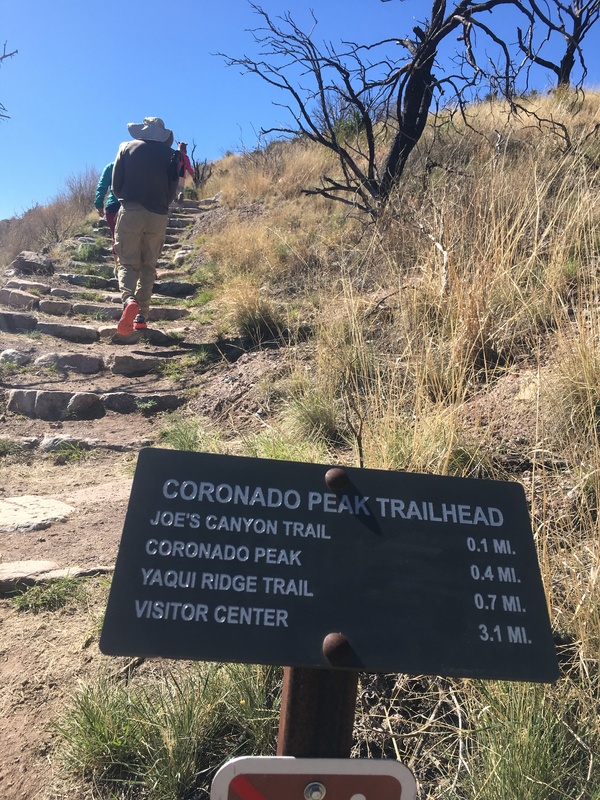 It was a very crazy first day on the Arizona Trail. But it wasn’t until the middle of the first night on the trail that things really started to get crazy. It was very cold with temperatures less than 30°, and as the night progressed a fierce wind storm blew in. All I could hear is what appeared to be the cracking sounds of trees swaying in the wind around me. I continued to imagine myself being crushed by a giant tree inside my tiny tent. As time passed into the early morning hours, the wind storm brought rain, that turned to hail, and eventually turned to snow. I woke up on the second day in southern Arizona surrounded by a light dusting of snow. I crawled out of my tent still feeling sick to my stomach with shortness of breath. I forced myself to eat a hot breakfast and hurriedly packed up for the days’ long hike ahead. 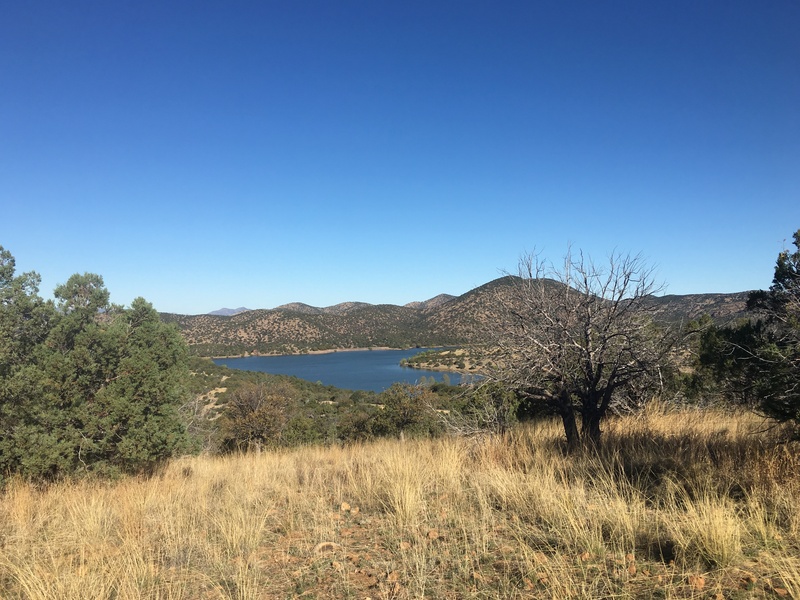 Our goal was to make it to the Parker Canyon Lake trailhead where we would be dry camping for the night. 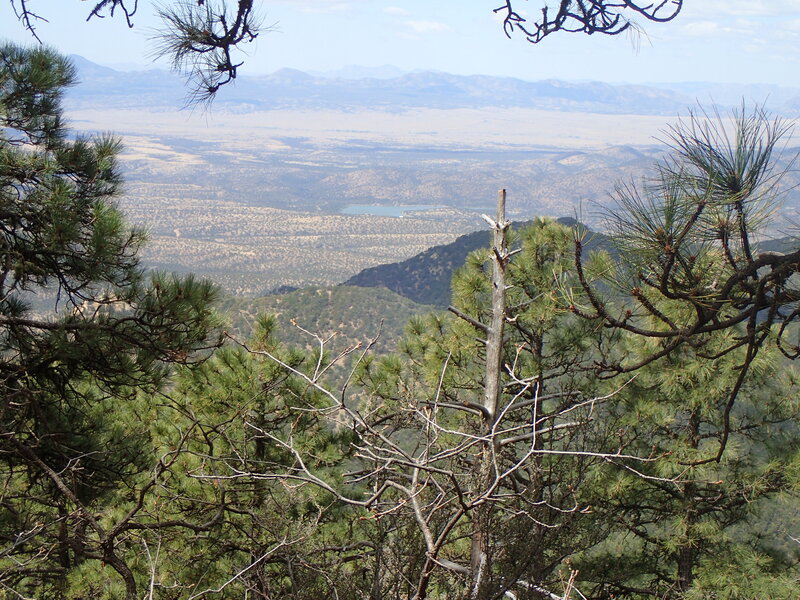 The morning was beautiful as we hiked along the ridgeline of the Huachuca Mountains heading north. 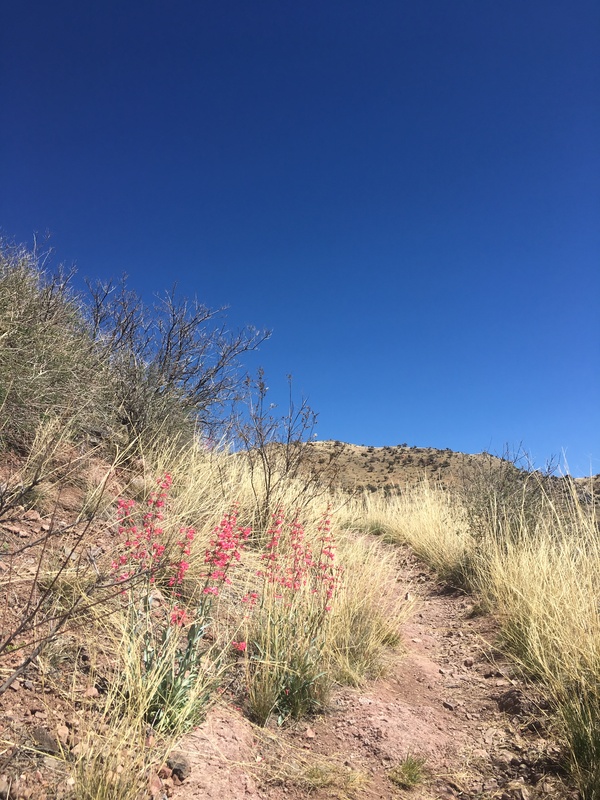 As we made our way down the western side of the mountain range, the trail switched back and forth descending through diverse terrains. We started our day with a chill in the air walking through patches of snow, and ended the day in the warm desert. 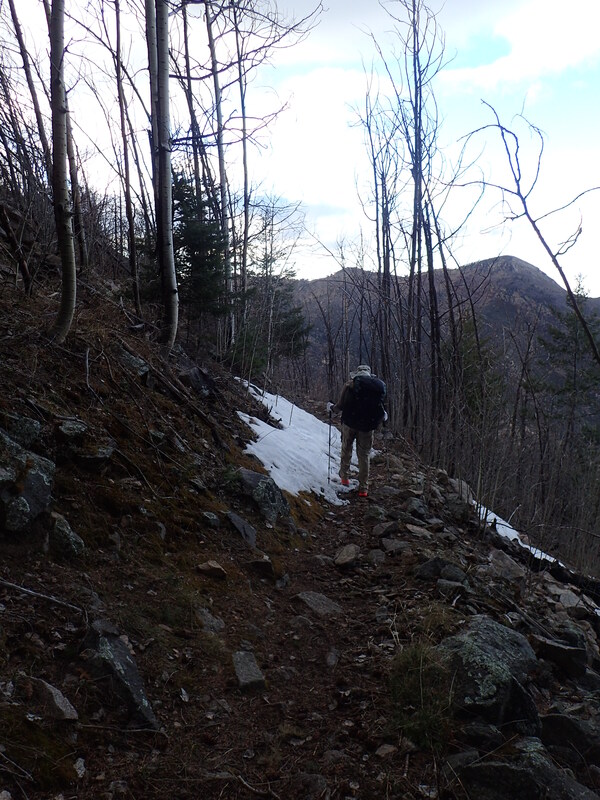 As I hiked down into a lower elevation I began to feel much better and was able to hike at a pretty good pace. The downhill trek was toe-pounding and by the time we reached the base of the mountains my feet were beginning to get pretty sore. I welcomed the flatter section as we made our way through Sunnyside Canyon. A small creek flowed, only a trickle at times, alongside the trail for nearly 3 miles. Near the end of what we believed was our last water source for the day, our group stopped and filtered water. I carried 6 liters of water for the last 4 miles of the hike, hoping it would be enough until our next water source the following day. Funny thing was, we continued to see water almost the entire way in intermittent pools along Scotia Canyon. By the time we reached our destination after hiking more than 12 miles, we were spent. Well, my aunt and I were spent, but our other hiking partner was an experienced section hiker who was just getting started. It was at this time my aunt let me know she couldn’t hike any further. 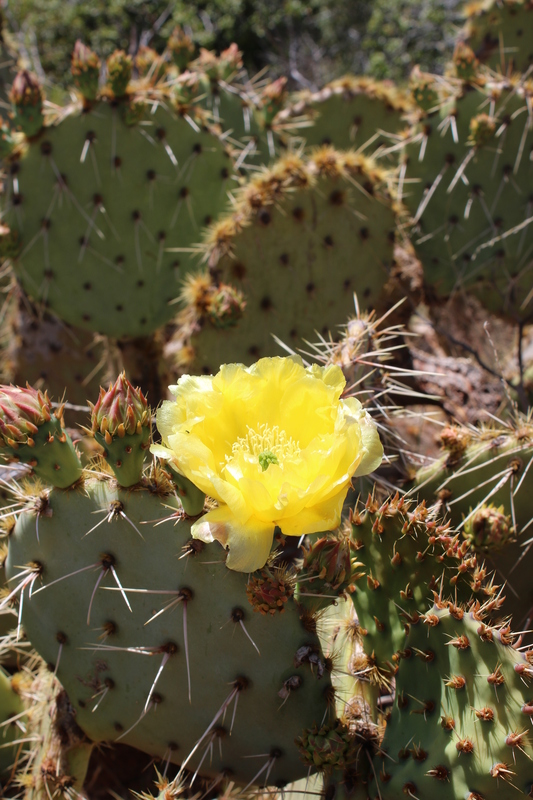 She was planning to hitch a ride from Parker Canyon Lake campground the following morning. Arriving at our destination with little daylight to spare once again, we hurriedly setup camp and prepared a hot dinner before sunset. After a certain point in the day, I stopped looking around me, stopped taking pictures, stopped enjoying the moment. 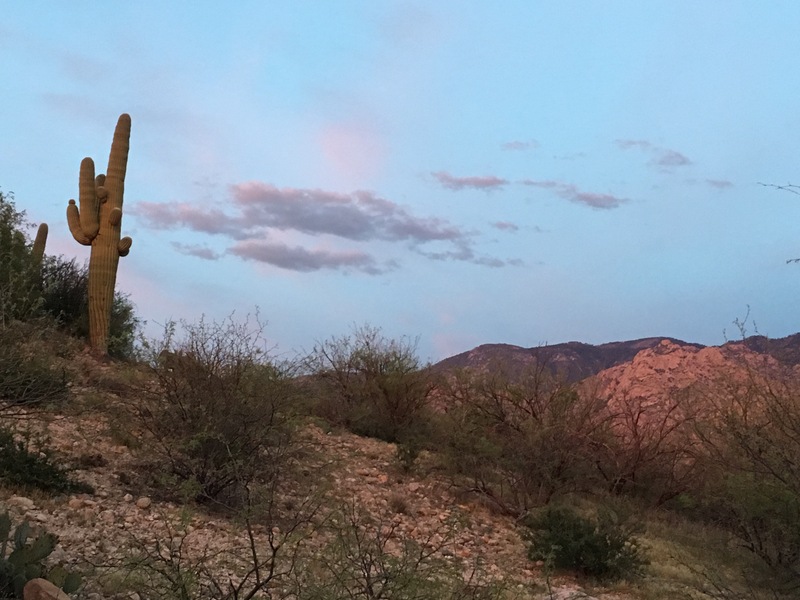 During the sunset on the second evening of my hike on the Arizona Trail I was able to stop and look around me and be in that “Kodak memory moment,” as my aunt would say. That evening was emotional for me and I had a lot to think about. 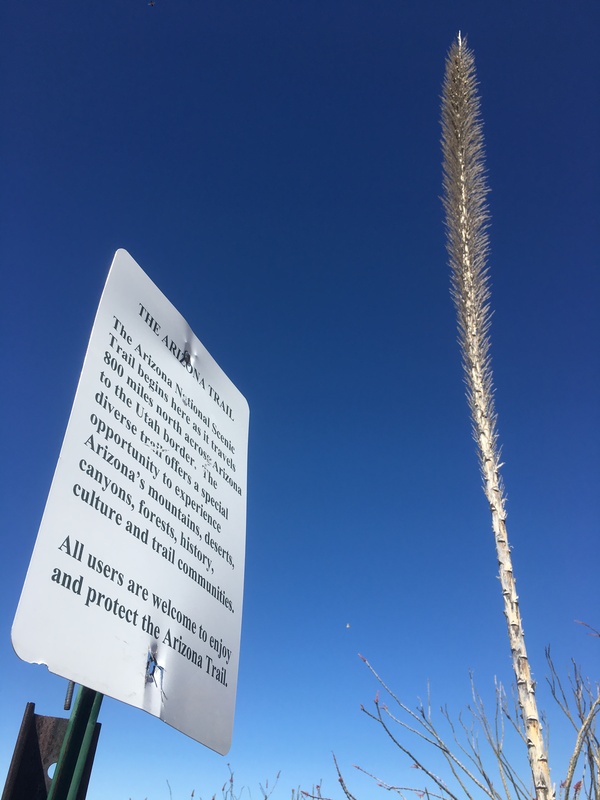 Even though I knew my plans would be shifted as soon as I started the trail, I was panicking as it felt like everything was falling apart around me. What started out as a group of 5 was now down to a group of 2. My only hiking partner was a skilled section hiker with plans to hike 15+ miles each day; a pace I could never keep up with. My options at this point were to either continue hiking the trail alone or leave the trail with my aunt and regroup. 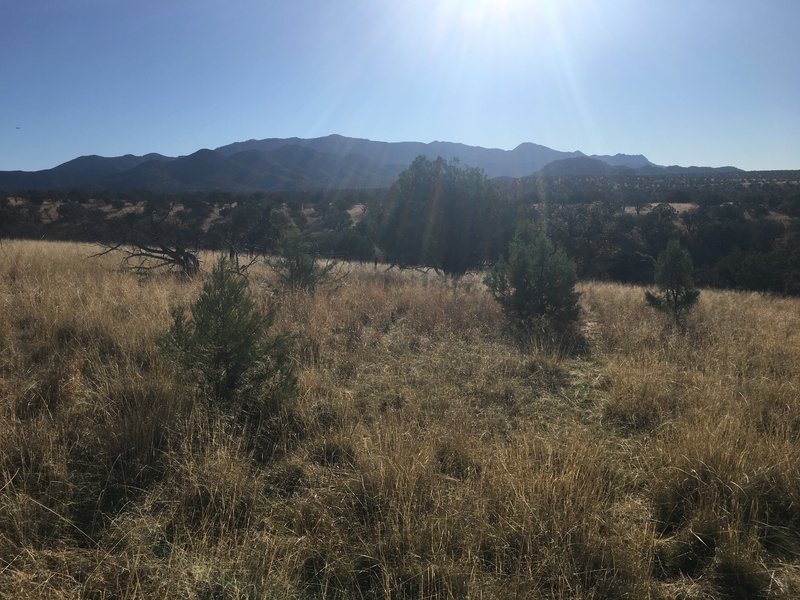 On day 3 of my thru-hike attempt on the AZT I decided to get off the trail. 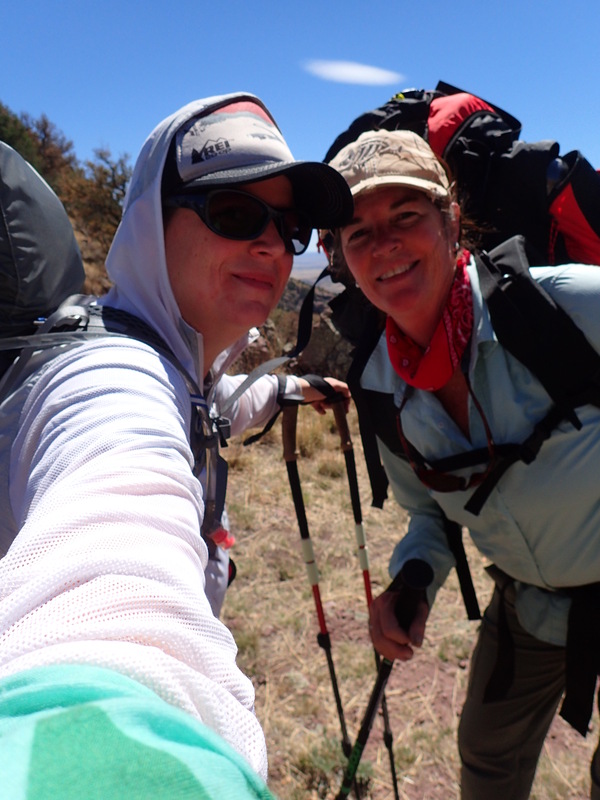 I hoped to reconnect with my original hiking partner and her daughter and get back on the trail soon. 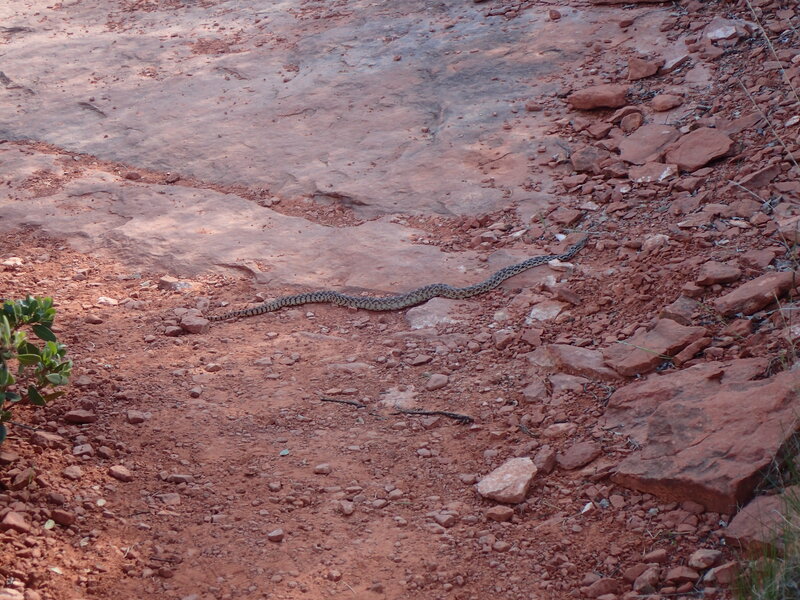 It was a bittersweet moment that morning as we said farewell to our new friend who was continuing his journey along the Arizona Trail alone. I was so proud of those people that could hike on, but so disappointed in myself for not being able to. 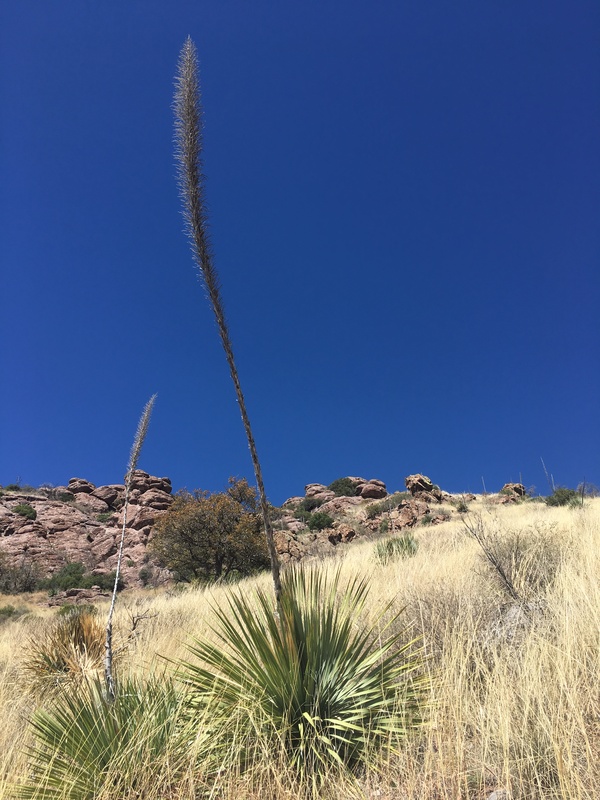 Through the kindness of others and connections we had already made on the trail in only 3 days, my aunt and I found our way back to Patagonia Lake State Park. It was here where I spent the next two days reconnecting with my original hiking partner and coming up with a new game plan to get back onto the Arizona Trail. This adventure was not over yet. 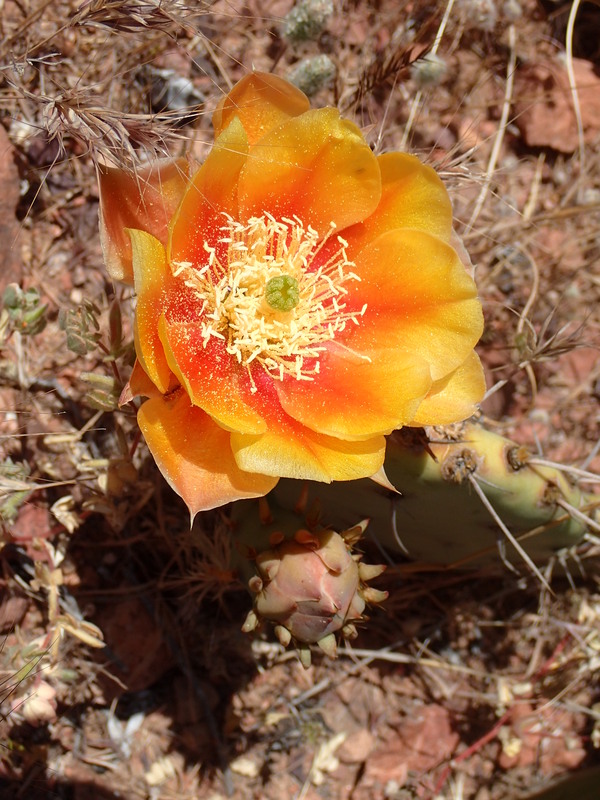 This morning I woke up filled with anticipation to finally start making my way towards southern Arizona. My aunt and I loaded up her RV preparing for our upcoming adventure on the Arizona Trail. The RV will be our base camp until we start our hike on Monday morning. We left Cottonwood full of excitement for the journey we are about to take. 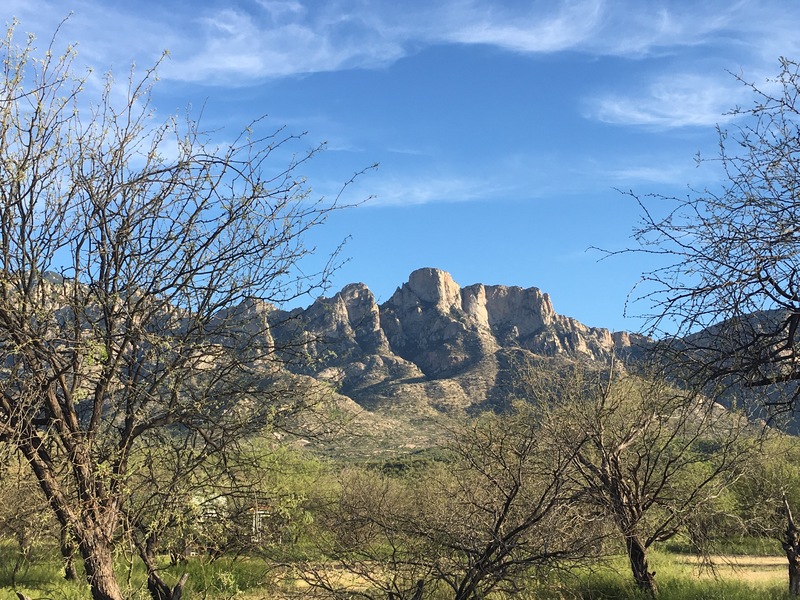 After dropping off two re-supply boxes with a good friend in Phoenix, we arrived at Catalina State Park in the late afternoon. We couldn’t have asked for a better evening in the Arizona dessert. Once we had settled into our new temporary home, we took a stroll through the park watching the sunset over the mountains to the west. 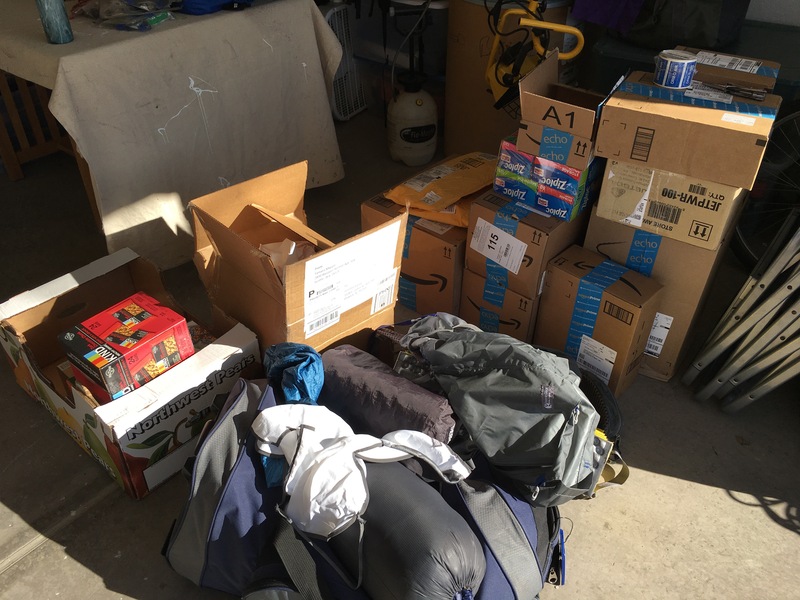 Packages piled up for AZT re-supply boxes. It took a few days, but I have turned the pile into 10 neatly organized and packed re-supply boxes ready to be shipped and delivered throughout the state. AZT re-supply boxes almost completed. 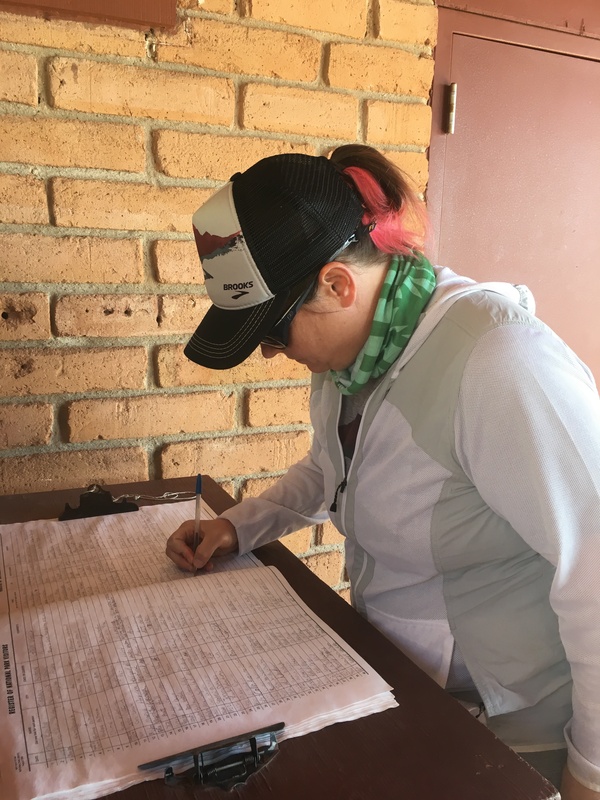 I had the pleasure of hand delivering one box to an old friend yesterday while visiting Jerome, AZ. It was a nice break from all the madness that comes from prepping for a long distance hike. I spent the afternoon having good conversation, and even managed to squeeze in a short hike. 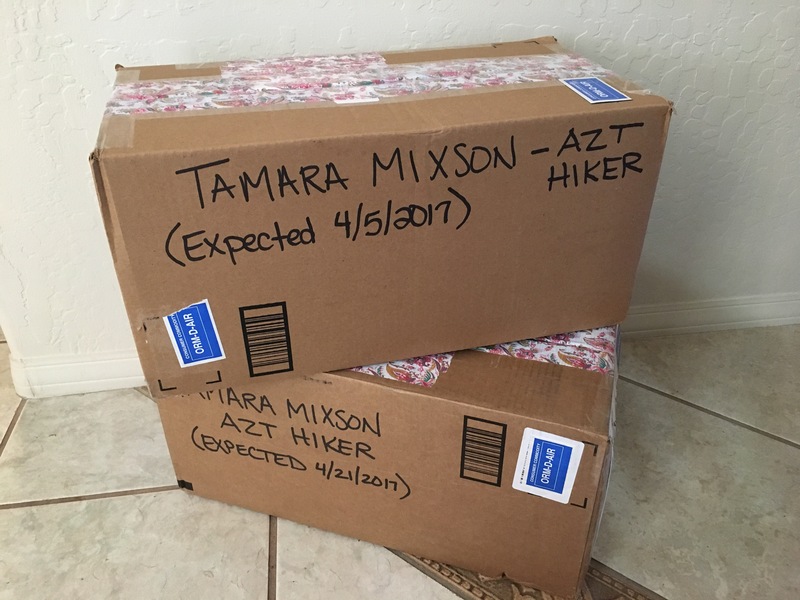 This afternoon I will be shipping my first two boxes – one to Colossal Cave Mountain Park, and one to The General Kearny Inn. This is all starting to get very real! The first two re-supply boxes to go in the mail. 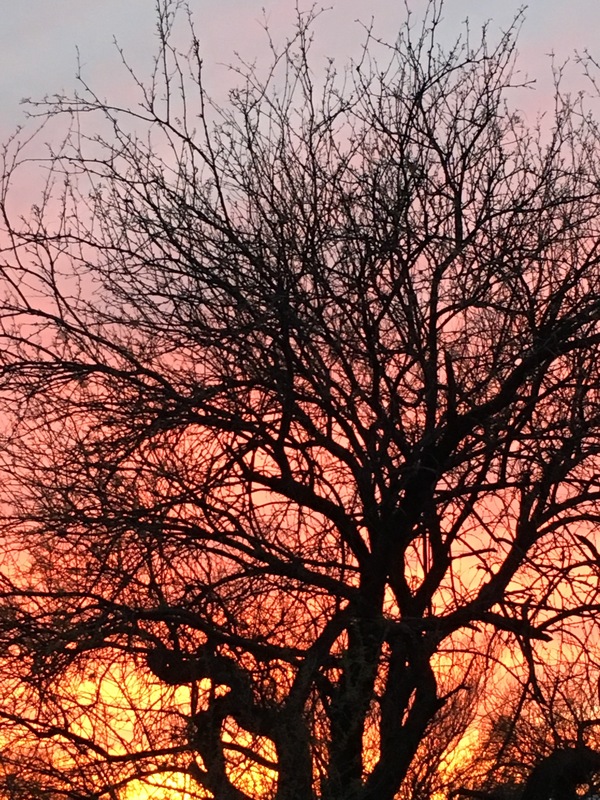 This is my first of many blog posts from my iPhone 6s. With limited resources during my adventure, and I’m sure as hell not carrying a laptop with me, I’ll be using my phone to blog along the way. Next Monday, March 27 is go time! I can’t wait for the journey that lies ahead. Happy trails!